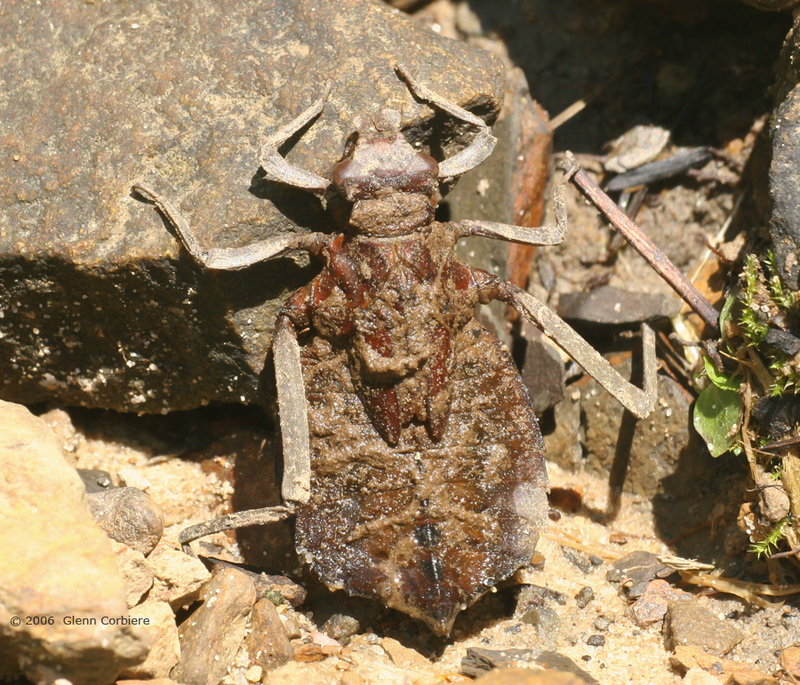 Hagenius brevistylus (Dragonhunter), larva, at Clear Creek, near Wartburg, Morgan County, Tennessee. 6/5/2006. This creature caught my eye as it was making its way from the water, up the shore to a vegetated banking. I lost it in the vegetation, which was liberally laced with poison ivy. Copyright 2006, Glenn Corbiere. Image not to be used without permission.